Today on Fandom Friday, we’re going to do a list of fun facts about Dakota. 🙂 Enjoy! Dakota’s surname was almost “Tanner” but Anna said that “Dakota Tanner” sounded too similar to “Dakota Fanning” so we changed it to Shepherd. We used Tanner as Dakota’s mother’s maiden name instead, so Nan is actually Nan Tanner. Shepherd was chosen as an homage to two characters I love in Space Opera/Sci Fi. Shepherd Book from Firefly, and Commander Shepherd (Femme Shep of course!) from Mass Effect. Two of my favorite Sci-Fi series of all time! Dakota’s hair gets kinda curly when it grows longer and she hates it, so that’s part of why she keeps it short. In the great soda war of Coke vs Pepsi, Dakota prefers root beer. Dakota loves Coffee. Not as big on hot tea. She likes her coffee full of milk and sugar, or what she calls “Kindergarten style”, but her favorite is a good vanilla frappe. Dakota likes vanilla more than chocolate. 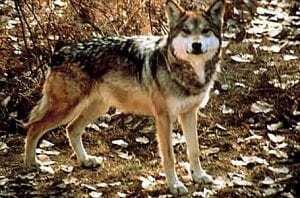 Dakota’s wolf form is modeled off of a Mexican Wolf. They’re adorable. Dakota is atheist, but commonly references Pastafarianism in a playful manner. Dakota has a Tennessee accent that gets worse when she’s being self-deprecating and generally better when she’s being overconfident. 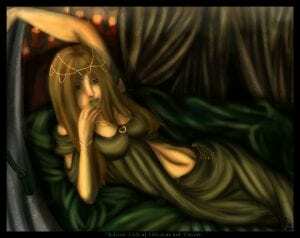 This is the pose from Awakened. Karine really captured the look of bewilderment and wonder that I wanted for Dakota, seeing her own supernatural power. This is the pose that turned into the cover of Hunted, which was actually made before the cover for Awakened. The model who portrays Dakota on the covers is Karine Gladu and she is from Quebec. She was a long-time stock model and photographer, and I found her on Deviantart and have worked with her ever since. She’s fantastic! Dakota has her own Ask Tumblr where you can ask her questions and receive in-character answers. Got a curiosity this list didn’t cover? Go check it out here! That’s all for this week’s Fandom Friday! Hope you enjoyed!